If you’ve taken the previous two lessons, 102 and 101, you’ll have your robot modeled and rigged. But he/she still looks pretty lame with all that grey. So how about spicing it up with some color and textures! That’s exactly what this lesson is about. Learn how to apply textures and shading to your models so that they can be a lot more interesting to look at. 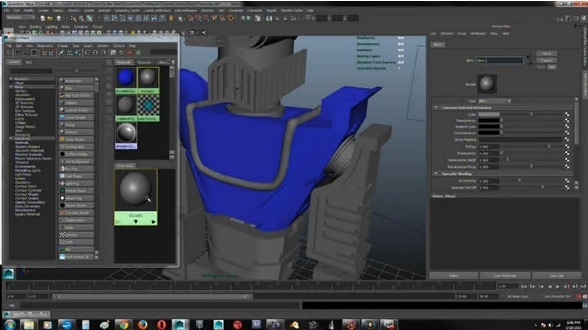 The lessons covered here can be applied to ANYTHING you build in Maya, so feel free to take the class if you already know how to model and rig. (Or if you don’t).